How important is one’s educational background when one is a head of state? Very important. 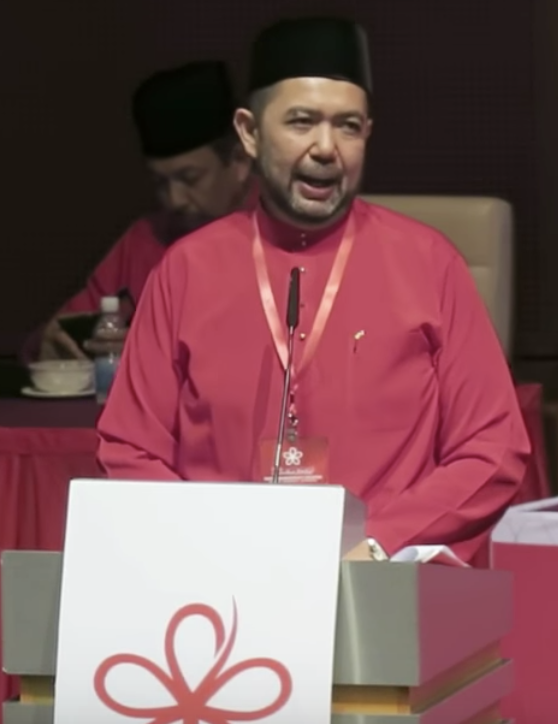 Recent news has revealed that Malaysia’s Deputy Foreign Minister Marzuki Yahya did not obtain a degree from UK’s Cambridge University but from another non-accredited institution whose reputation is being questioned due to its suspicious identity. It all started with a Facebook post on February 3, when an account holder claimed that the University of Cambridge did not offer any business administration courses in its distance-learning programme, from which the Deputy Minister said he had gotten his degree from. Mr. Marzuki saw the recent turn of events as a political game and said during the Chinese New Year ‘open house’ with Finance Minister Lim Guan Eng on February 5, 2019 that he would produce proof that he did acquire a degree from the prestigious university. He said, “I regard this as a political game. I don’t feel like commenting much about this. Let’s leave it to the police. The important thing is for me to discharge my duty well without any problem. It is important that we give preference to our duty, responsibility and country.” He also added that he will produce the proof but not report the critic. This alleged Cambridge International University is under scrutiny for being a diploma mill, a fraudulent company that claims to be a higher education institution and releases false academic degrees or diplomas for a fee. 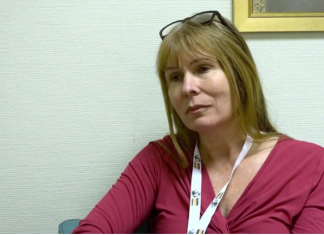 Furthermore, further investigations showed that the staff affiliated with CIU are fake as well with some profiles coming from an international online dating site AnastasiaDate but was posing as an Associate Professor in CIU. 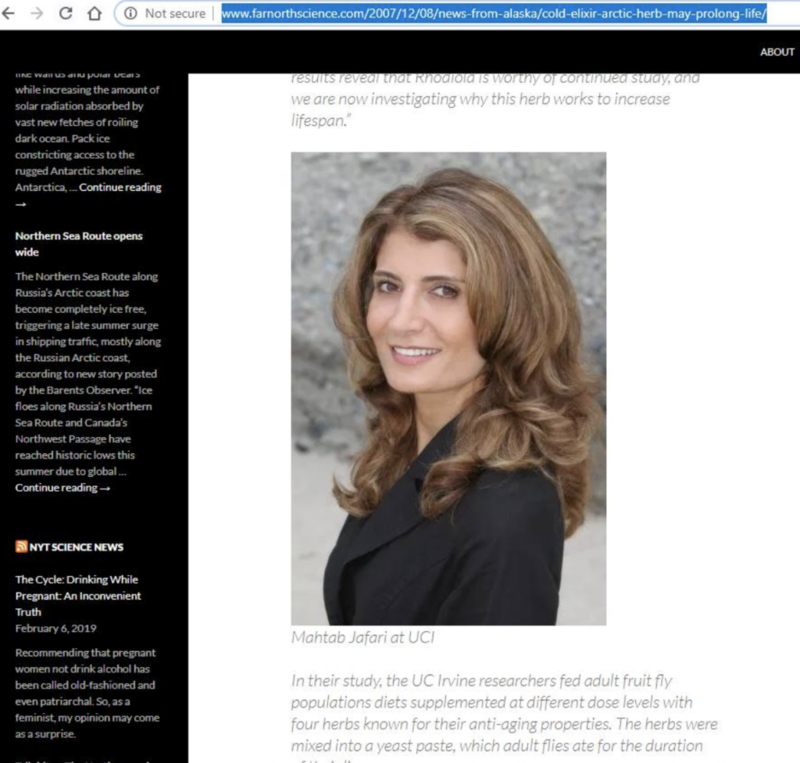 Another identity came from Ms. Mahtab Jafari who works at the University of California Irvine but became “Professor Kelly E. Thomas” with the same picture in CIU. Cambridge International University also states in its website that is not accredited by the US Department of Education. One can get a degree for as low as $5,000 (S$6,700) at CIU. 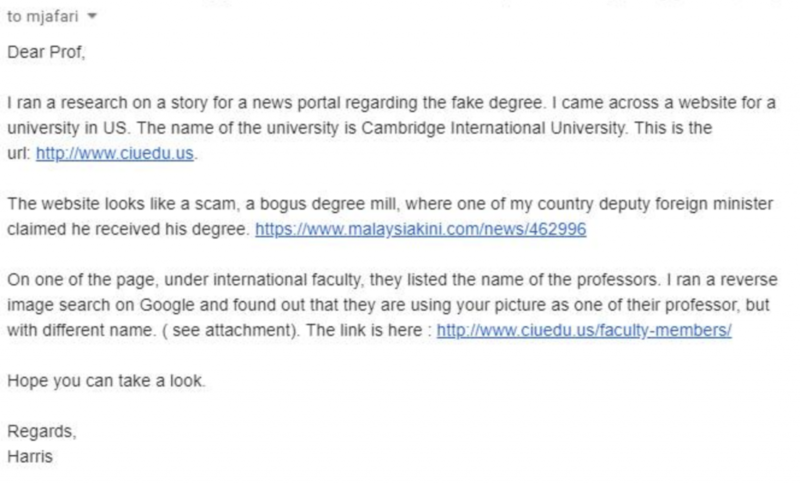 To date, all sources of the Malaysian Deputy Foreign Minister’s educational background involving the University of Cambridge, such as Wikipedia, have been revised.